Is the GMAT a make-or-break part of your application? Does it predict your future success? Your success in b-school? When should you retake the GMAT? When should you cancel a score? What should you do if you can’t raise your score? 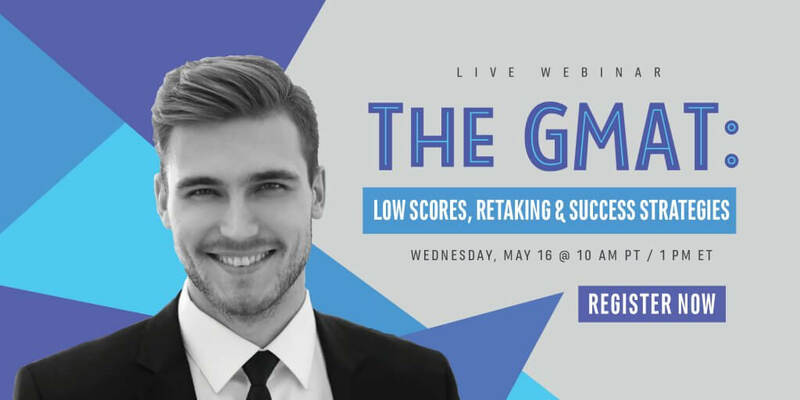 Join Linda Abraham on Wednesday, May 16th for The GMAT: Low Scores, Retaking & Strategies for Success, our free webinar that explores your questions about the GMAT. There’s still time to register – reserve your spot today.